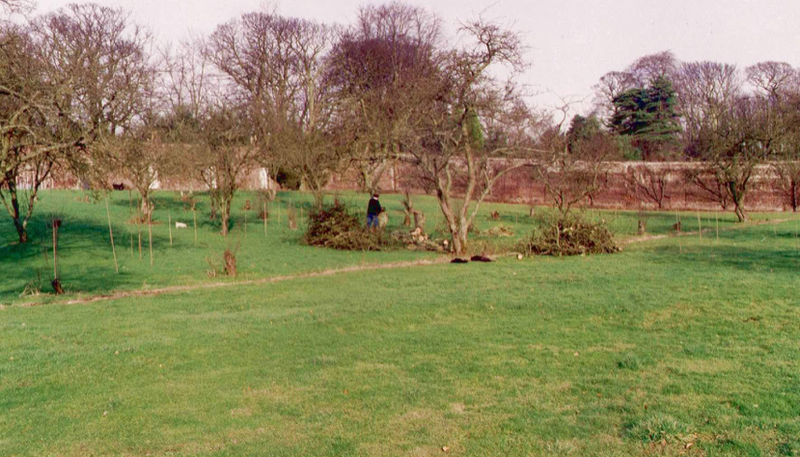 When Michael and Charlotte Wemyss moved to the Castle in 1993 the Walled Garden had structurally sound walls but inside was a wilderness with a handful of ancient fruit trees, a patch of redcurrants and three geese. Seeing the space as a vast blank canvas, Charlotte put together a plan to revive the garden and restoration began in 1994 with running water installed and the first hedges planted. The following year the first border had been created. 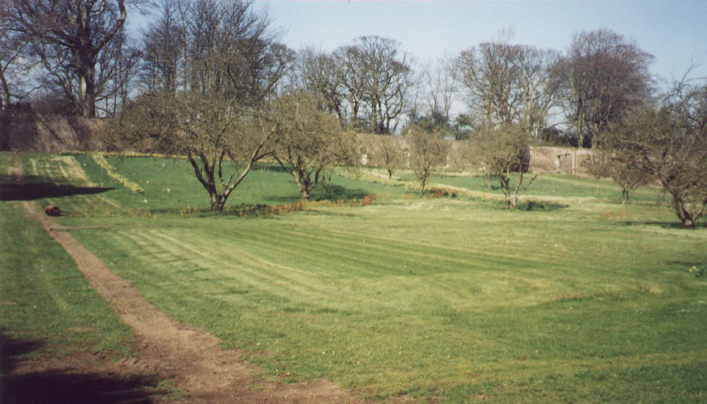 By 1998 there were eight borders and plans for a pond, concrete garden seats inspired by Michael and Charlotte’s travels were designed and cast. As a millennium project a magnificent but collapsing pair of wrought iron gates were replaced, built by Mihai Cocris, his first commission in Scotland. Since 2000 the planting has been consolidated, an avenue of Hornbeams planted and pleached and the pond is completed and full of goldfish. The Walled Garden continues to evolve with every year.